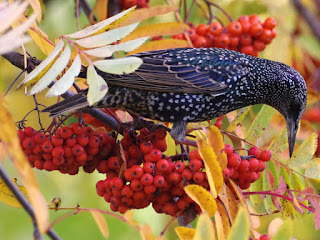 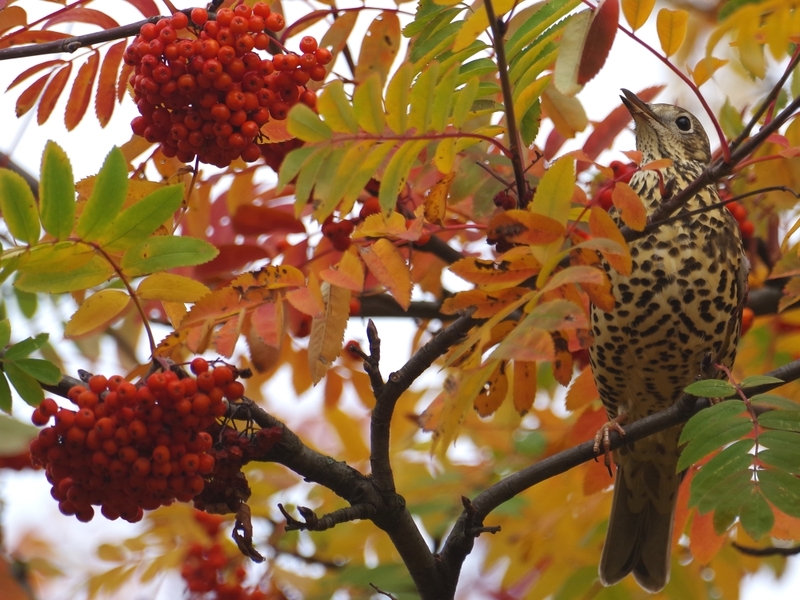 There were half a dozen Mistle Thrushes hopping around on Buck Hill looking for insects and worms, a welcome increase as numbers of winter migrant thrushes have been low so far this year. 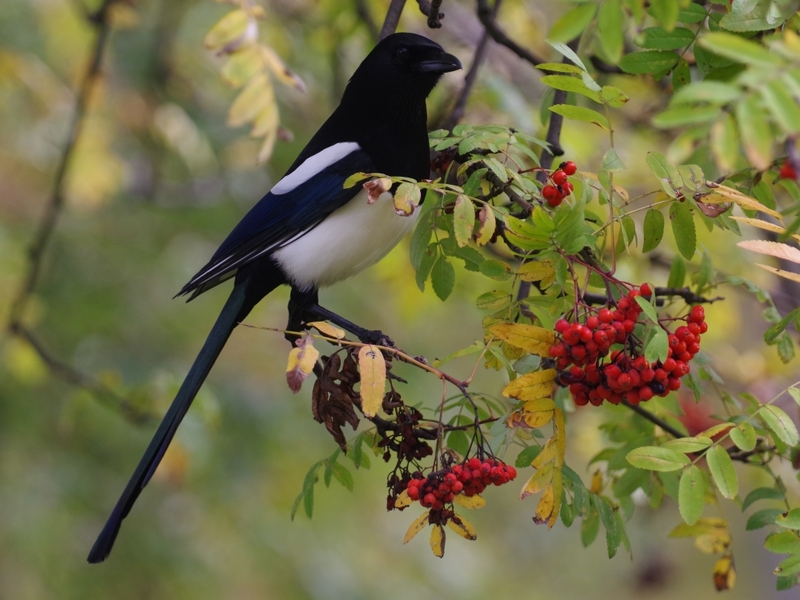 ... Jays and a single Rose-Ringed Parakeet. 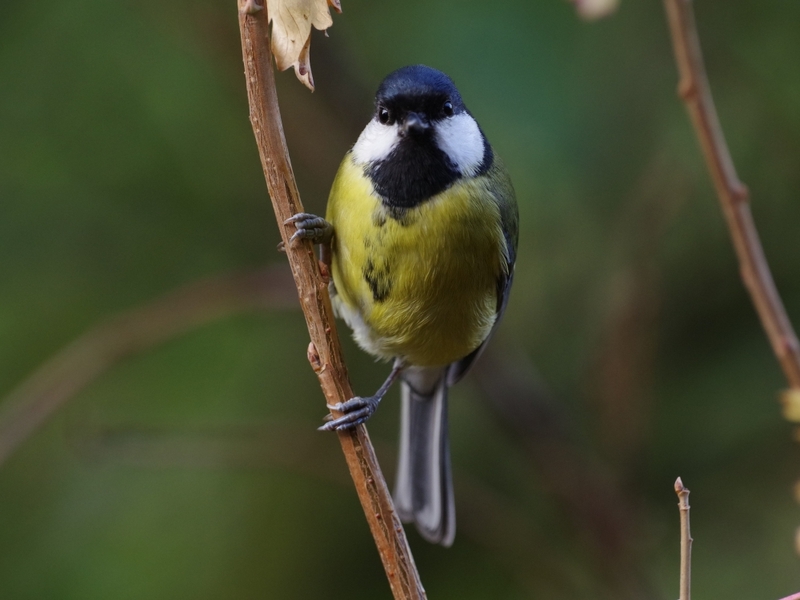 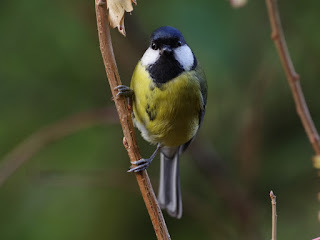 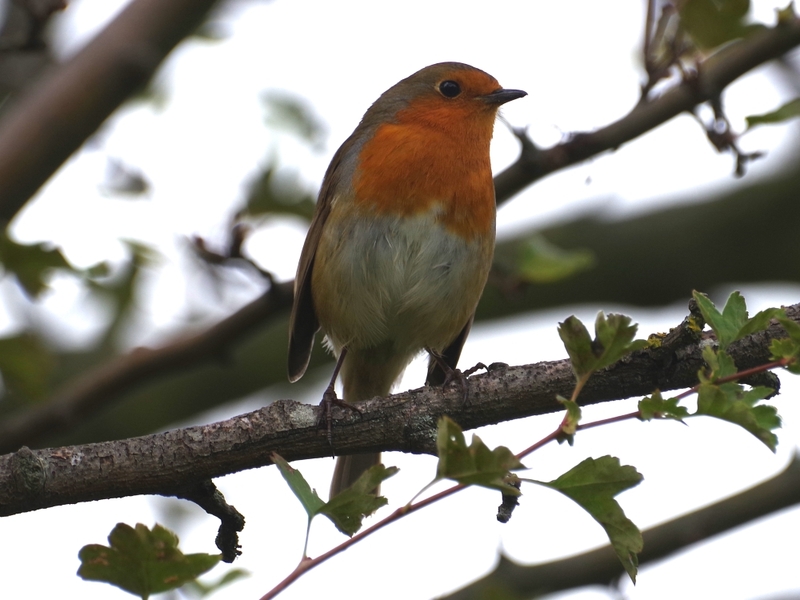 A Robin looked at the bustle from a neighbouring hawthorn. 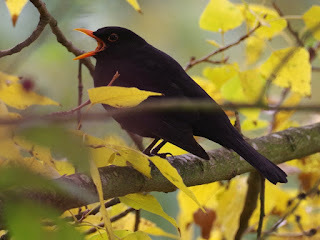 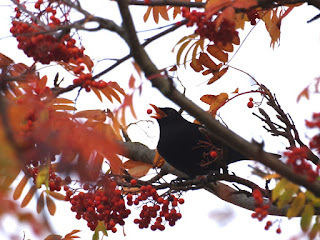 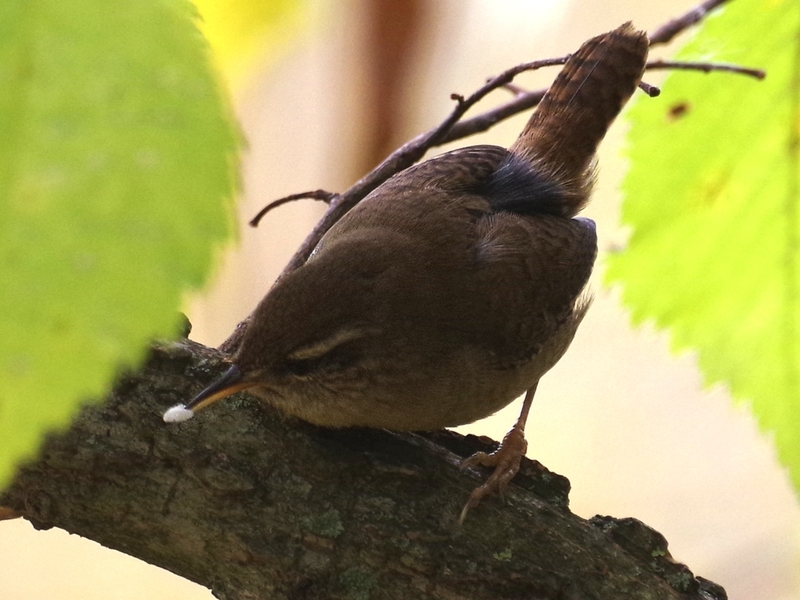 ... and a Blackbird yawned. Opinion is divided about whether birds really yawn in the same way as mammals, but most think that they do, and even that it's contagious. 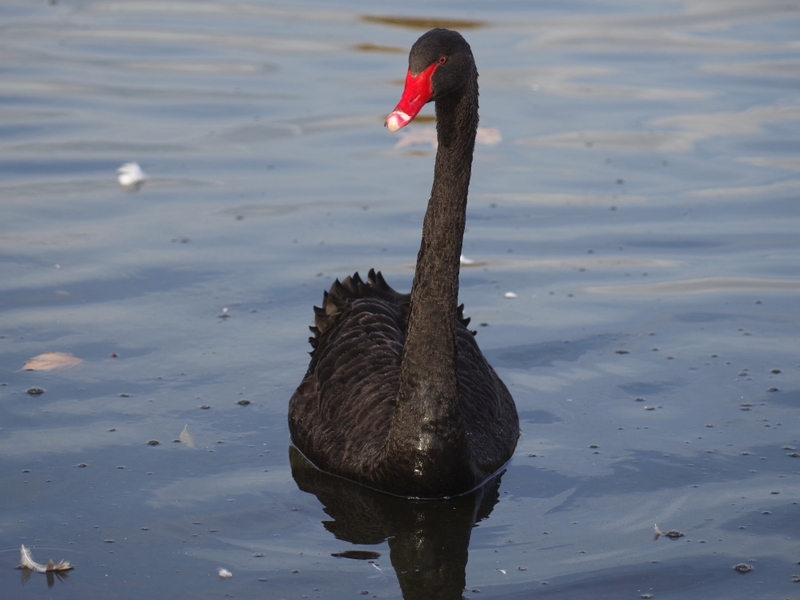 The Black Swan was at the Vista again, undeterred by the dominant Mute Swans, and came over to be fed. 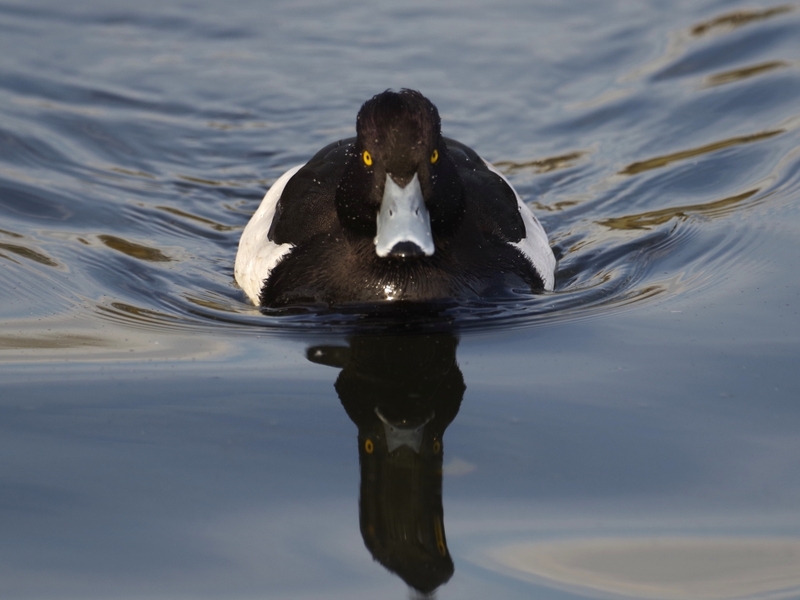 So did a Tufted Duck, with a determined look in his yellow eyes. 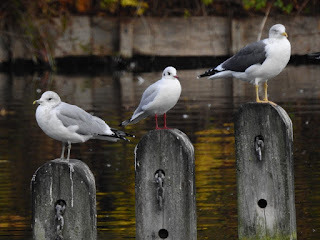 A Common Gull, a Black-Headed Gull and a Lesser Black-Backed Gull perched side by side on the posts at Peter Pan.